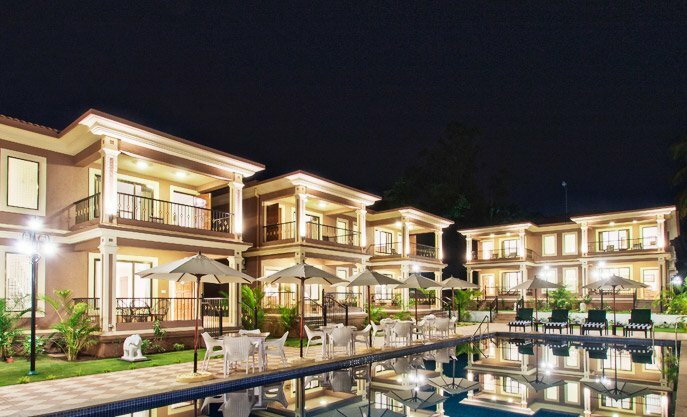 Unwind at The Seashell Suites and Villas, Goa’s luxury boutique hotel in the heart of Candolim. 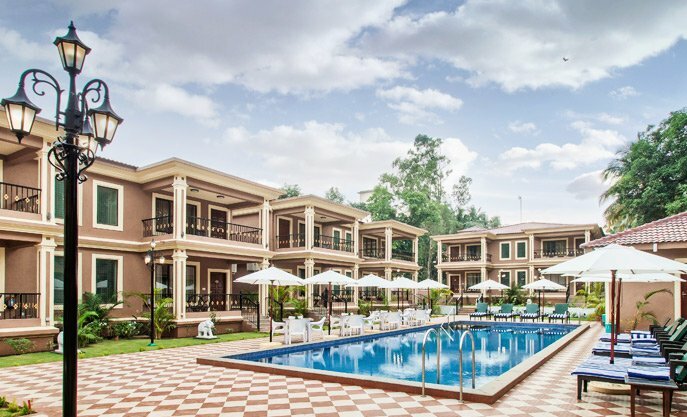 Situated in one of the most sought after touristic locations in North Goa, this beautiful Hotel features 50 tastefully designed Junior Suites, 15 modern spacious Villas, 3 swimming pools and an indoor multi-cuisine restaurant. Our Suites with its warm and inviting decor consists of a bedroom which extends into a sitting area with an en suite bathroom and balcony. 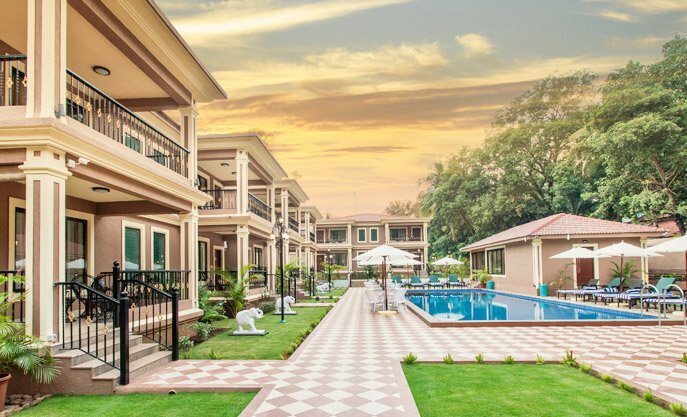 We’ve blended elegance and comfort to deliver a memorable Goan holiday experience. All our villas are split over 2 levels, have a large living room and dining space, and 3 bedrooms with en suite bathrooms. 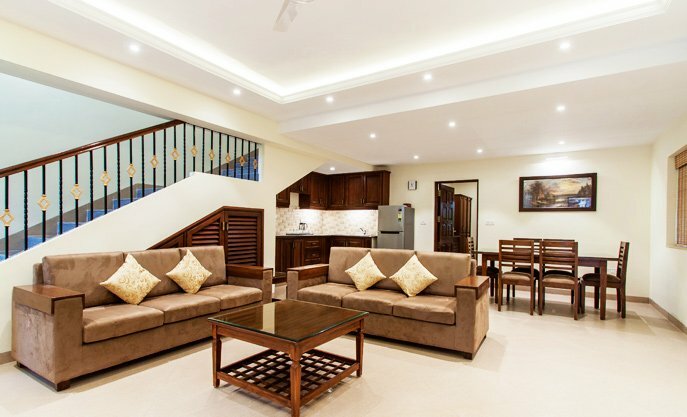 Staying in the villas is an extremely delightful experience, as we offer you the luxury of space, comfort and privacy of a Villa along with the amenities and services of a hotel. 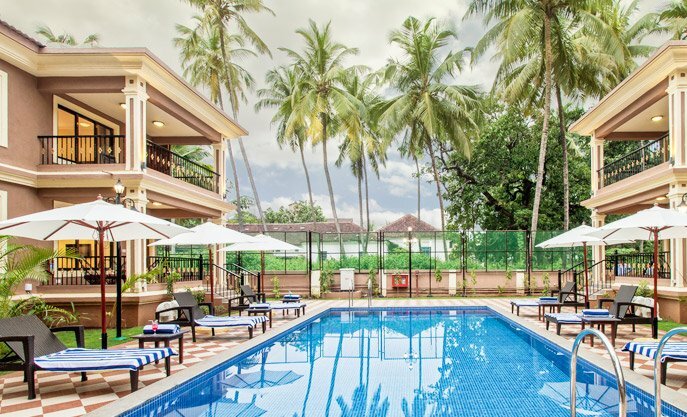 Being located on the bustling Candolim – Calangute strip, the Seashell Suites and Villas is only a few minutes walk from Candolim beach and steps away from numerous bars, restaurants, shops and other nightlife to keep you entertained. 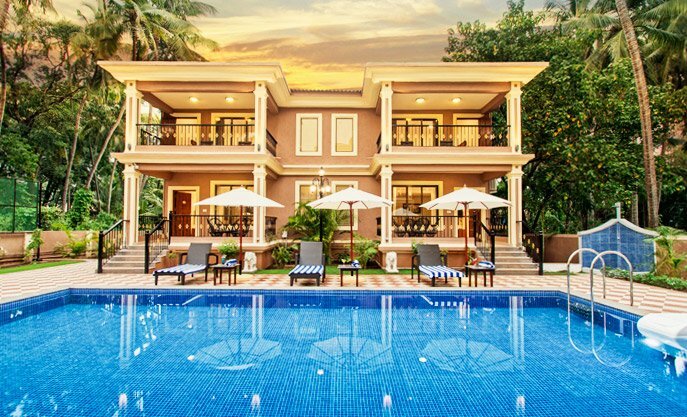 The Seashell Suites and Villas is the perfect choice of hotel for couples who wish to enjoy a romantic getaway, honeymooners as well as small groups of friends and family who wish to experience the vibrant and fun side of Candolim along with the peace and tranquillity of Goa. Our philosophy is to offer an experience, that carefully balances Individuality with Sophistication, Privacy with Expanse all the while focusing on the uncomplicated and ease, thereby creating lasting memories and giving our guests an experience of true Goan hospitality.